Whether you are vacationing with family, friends, or that special someone, sleigh rides provide a true winter experience. 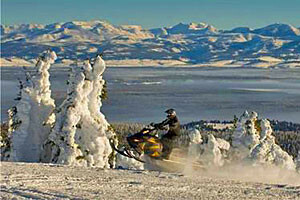 Rides can include visting remote cabins for a family style dinner cooked over a wood stove. Others run evening group sleigh-rides along the Gallatin River. What could be more romantic than enjoying a ride in a horse-drawn sleigh on a brisk winters evening? Choose from 5:30 or 7:00pm start time. 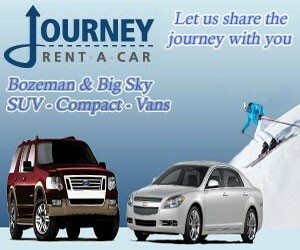 For all ages, lots of fun. 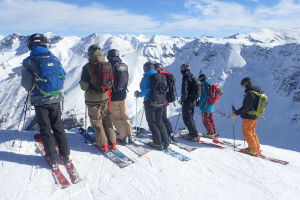 Offering a very unique winter experience in Big Sky. 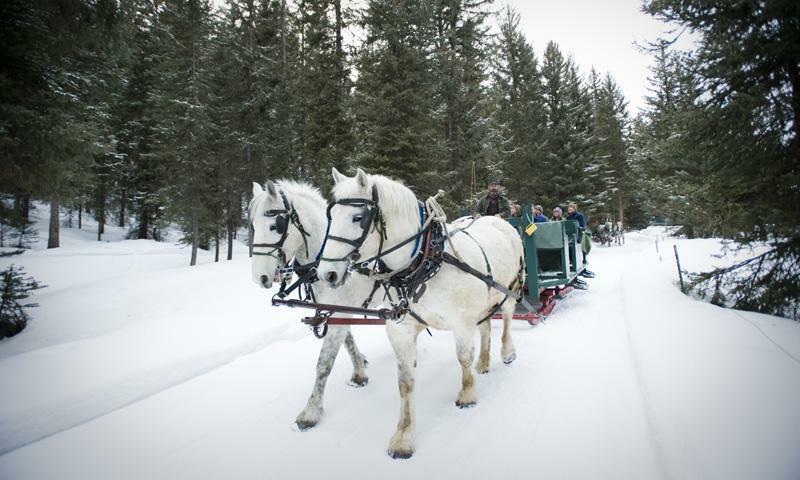 Take a one-hour horse-drawn sleigh ride to our backcountry dinner camp for delicious food, then enjoy the trip back. A local favorite since 1982 – a unique Montana experience. Take a sleigh ride to a beautiful cabin in the woods for a prime rib feast, musical entertainment, fun & laughter.